Lagos. Ikeja. Thursday Afternoon. Filmmaker Kunle Afolayan had called a production meeting to discuss the next stage of the distribution plan for his hit movie October 1, which has just had a successful cinema run and which won nine awards at AfricaMagic Viewers Choice Awards (AMVCA). He has secured a distribution deal for the movie on the mega video on demand platform NETFLIX and with G-Media distribution run by popular filmmaker and distributor, Mr. Gabriel Okoye, aka Igwe Gabosky. His production outfit Golden Effects Limited is considering taking the film on a campus tour this April through to May 2015. Then his phone beeps. It’s a text message from Igwe Gabosky. He drops the phone in anger after reading the message. “Guys, we are in a deep mess,” he says, almost in tears to his staff who are stunned. 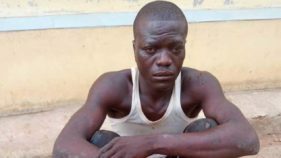 “Gabosky just alerted me now that October 1 has been pirated and it is being packaged in Alaba (the electronic market along Lagos-Badagry expressway) for release on Monday. What is all this?” He screams and asks no one in particular, causing panic in the office. “I am going to leave this country since they don’t want young people like me to do legitimate business and earn money legitimately. I am just going to leave. I am going to leave,” he says repeatedly, his staff trying to calm him down. Afolayan calls off the meeting. Gets on the phone with Gabosky and as soon as they was done talking, he, in anger, sends a hate tweet that causes a stir on social media. Afolayan suggests in the tweet that the bulk of the pirates are from the eastern part of Nigeria; the tweet infuriates most people, especially those from that ethnic divide. 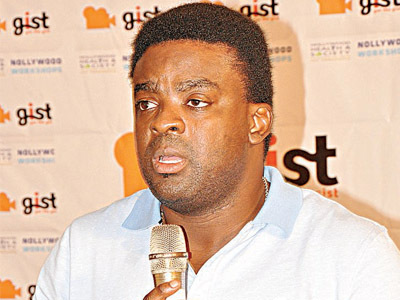 They hurl insults at Afolayan. Even his colleagues who are Igbo frown at the tweet and they demand unreserved apology. Afolayan apologizes almost immediately but he clarifies that he sent the tweet in anger. 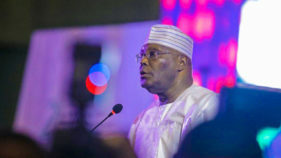 He argues, “I mean I was bitter seeing my multi-million naira investment going down the drain. But I apologize for generalizing. I should have couched my tweet better”. But Gabosky doesn’t even think Afolayan needed to have apologise to anyone. 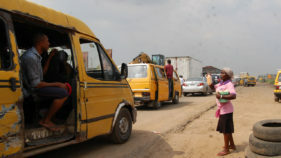 He, too, blames the piracy of films and music works largely on some Igbo traders at Alaba International Market, Lagos. While expressing disgust at the development, Gabosky at a press conference last Thursday minced no words in saying that Igbo constitutes 99 percent of pirates at Alaba International Market. In his words, “When I went into Ubakason Plaza and Obosi Plaza, the den of these pirates, 99 percent of the people that are trading there are Igbo. So, I don’t know why you just want to take criminality and start joining it with politics. A criminal is a criminal and should be pronounced a criminal, whether he is a Yoruba, Igbo or Hausa. I’m here to tell you people that piracy in Nigeria is becoming incorporated, incorporated in the sense that the people that are doing piracy now are the big men that you see around. Some of them are former stakeholders in the industry that have found a lucrative job in piracy. Some of them used to be marketers but right now they don’t have a single shop”. At the conference, Gabosky expressed regrets that efforts to dislodge with the pirates have not been fruitful as they have often resisted arrest by law enforcement officials, whom they usually engage in fierce battles by using all manners of dangerous weapons. While discountenancing tribalism, Gabosky, a titled Igbo Chief, urged the filmmakers to come together to confront a common enemy rather than being divided along ethnic lines. Having lost about N450 million to the activities of pirates, Gabosky said he was bitter and frustrated just like Afolayan. Aas he put it, “Nobody is addressing that this man (Kunle Afolayan) borrowed more than N150 million to do a film and he has not recouped the money. Meanwhile, the film has been pirated. And I went round the whole country and found out that films are being pirated and I started compiling names. And I tell you, the names that I compiled there is no Yoruba name on that list. They are all Igbo and I have the list.” Gabosky urged that attention must be redirected from tribal banalities to focusing on piracy, which he said was the bane of the entertainment industry. Afolayan’s movies Phone Swap, Figurine, Irapada, and lately October 1which are being marketed by Okoye, have been targets of pirates. He said he had since written to the Lagos State Government and Nigerian Copyright Commission (NCC), but that he was yet to see them act. On how to tackle piracy, Gabosky said a group—Watchdogs Against Piracy (WAP) was currently compiling a list of pirates, noting, “We will tell you who and who are behind it and even where their machines are”. Gabosky also lashed out at Nigerian Copyright Commission (NCC) and National Film and Video Censors Board (NFVCB) for failing completely in the discharge of their duties, as regulatory agencies in the film industry, saying, “They are another branch of piracy”. Meanwhile, the pirated copies Afolayan’s October 1 are mostly sold in traffic across Lagos metropolis. Gabosky confirmed the development and assured that necessary steps were being taken to redress the situation. “We will declare total war on the pirates since they have decided to declare war on us,” he said.